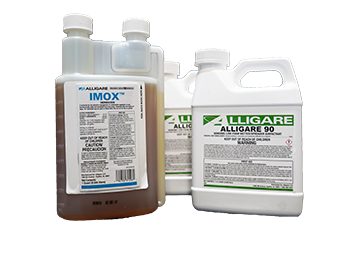 This product, a water-soluble liquid, mixes readily with water and non-ionic surfactant to be applied as a foliar spray for the control or destruction of many herbaceous and woody plants. This product moves through the plant from the point of foliage contact to and into the root system. Visible effects on cattails or water lilies occur within 3 to 4 weeks. Tall grasses and poison ivy can show sign within 2 to 4 days, but effects on most perennial brush species may not occur for 7 days or more. Extremely cool or cloudy weather following treatment may slow the activity of this product and delay visual effects of control. Visible effects are a gradual wilting and yellowing of the plant which advances to complete browning of above-ground growth and deterioration of underground plant parts. Mixing this product with herbicides or other materials not recommended in this label may result in reduced performance. See our Video Demonstration to view how easy it is to apply Open Water Kit®. I purchased the 1 quart of Glyphosate and 1 quart of Alligare 90 for a 1/4 acre (10,000 surface area) mat of Cuban Bulrush on my central Florida based pond. The bulrush had an extensive intertwined root structure that ran from 12 to 18 inches below the waterline. I applied the products with a regular sprayer using all the chemical in a 2% solution spread as evenly as possible. I noticed the bulrush turning brown in about a week and in three weeks I believe it was dead and a week after that we were able to break it up and pull it out of the pond. To bad I can't post pictures because it is quite a big pile. Overall, the Glyphosate (as mixed with the surfactant) worked as described and I am glad to have my pond cleared of that horrible invasive weed. I used this product on reeds last year. I was disappointed last year. This year, I hardly have any reeds compared to other areas I did not spray. I suspect that is why I have little to none this year. I do have some little sprouts that I just pull, but not the hundreds of last year. Got this product a month ago and have sprayed the pond twice now, second time made a stronger mixture, nothing, no dead or dying lilies or cattails. Very disappointing. I bought it for cat tails which it is working. I have to get the right combination still. It requires more than it suggests. Unless mine are just stubborn. The best part is it works EXCELLENT on Night Shade. That weed is so hard to kill. It killed them to the point that some of the plants within 7 days you could kick and they would crumble. Love it!! Just bought 4 more quarts to treat an entire ranch. I was shocked on how well this product worked! We had so many Cattails we couldn't see the pond! Now we have none and the view is terrific !!! I was skeptical when I purchased this as I've tried all kind of stuff on my lake Lilly pads and cat tail. This product is amazing, it says to use one ounce of each per one gallon of water, I doubled it and it killed them all. The best product by far I have ever used. I will continue to use this. I tied this product for water lily control and it didn't work. I saw no difference. This year I will try to mix two parts of the Glyphosate to 1 part surfactant. Not only will this kill Cattails it will kill any other pesky weeds you got in the yard! I just mixed one cup to 3 gallons of water every plant it touched! this product worked wonders on my cattail problem i told all my friends about your product keep up the good work !